When the movie Pina by Wim Wender came out in 2011 it reached unexpected audiences and made a less known figure and an indie experimental approach understandable and fully engaging. It might have not swept the nation like "La La Land" or be a cinephile favorite like "Singing in the Rain", or "The Red Shoes", but it took dance in its purest form and made it an entertaining, poetic, visual spectacle where the movement itself tells the story, where the 3D is not used for jumping dinosaurs but envelops you in a multi-dimensional idea of beauty. Dance in movies has always even a popular tradition on the American silver screen. Compared to Italy, musicals in the US are widely loved and in some cases revered or they are staples of pop culture like West Side Story. We see dancers everywhere, in commercial phenomenons like Step Up, to Oscar winners like Black Swan or documentaries like Mr. Gaga, kids learn dance moves constantly from their first steps, dance is at the heart of school talent shows and TV ones, live events , narrative stories, documentaries certain dance sequences in music videos are engrained in our brain, but how exactly do you film dance? Who films dance? Of course in some cases the director of a movie himself, can be passionate about that subject, but filming dancers requires a lot of specific skills and the development of an aesthetic of movement, a flexibility, both literal and figurative. In a way it doesn’t differ too much from how sports-watching has evolved. Technology, cameras and swift turns are required to get shots of a goal or a home-run no one could have ever imagined before. In dance it’s not quite at that stage yet, especially because one has to respect the really hard work of the dancers and not interrupt them or get in their way, but it’s becoming a niche form of film-making, one that requires a technical knowledge and a love for the arts, a full immersive identification with the dancer. Angelo Vasta was one of those people who, when they went to see Wenders’ Pina at the theaters, came out changed. 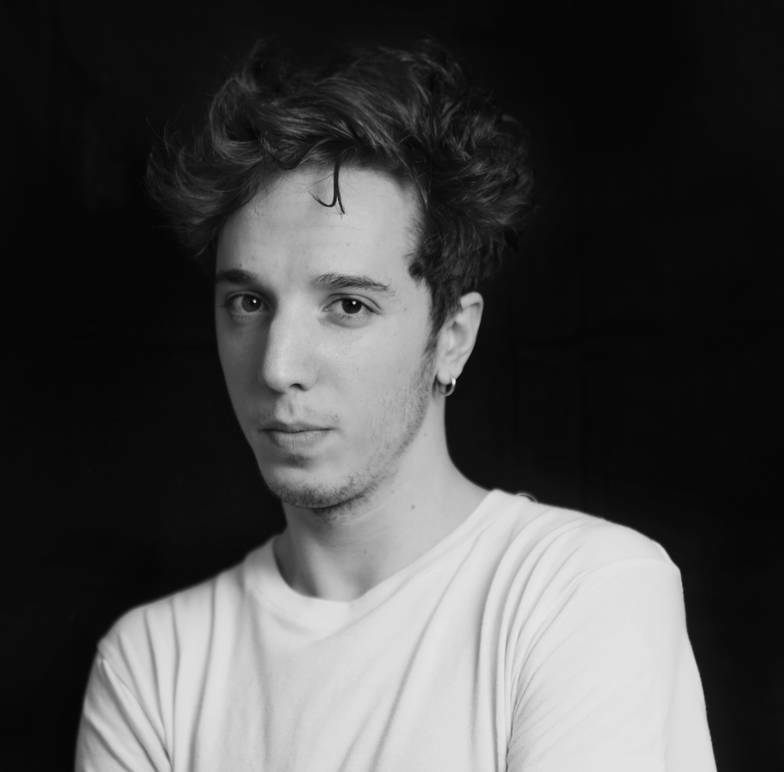 Angelo was born in Milan and he moved to New York over six years ago with a passion for photography and cinematography, fields where he had displayed already a lot of talent, aiming at the most perfectionist and experimentally creative aesthetic approach. Angelo has worked with several companies, all different in terms of musical style and creative approaches, but his moment of epiphany came with his first assignment. 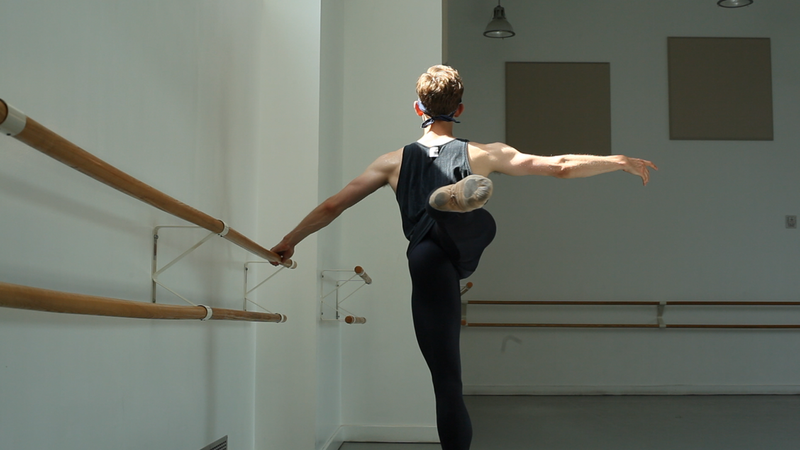 “I met with a dancer of the corps du ballet from the NY City Ballet and decided to film the “day in the life” of a dancer, behind the scenes. I was very attracted by the visual impact of a professional dancer on camera, it felt almost voyeuristic. It wasn’t about filming him on stage, but seeing what he went through from dawn to sunset. One of the ironic aspects of a country like Italy, so devoted to the arts with the most important theater in the world for opera and dance in Milan “La Scala”, is that the arts are often taught more privately and not necessarily combined with the school curriculum. Kids get a lot of training or are exposed to artistic beauty since childhood, but even in the best school the approach is more academic and theoretical. Same goes for sports, for a country so obsessed with soccer, PE in school is often a “Joke-hour”. As a teenager he attended a Classical High School, the most intellectually challenging kind of high-school in Italy specialized in Humanities and being immersed in studies that examined philosophy, beauty and complex thoughts, definitely reinforced the theoretical mindset behind his art. “I was working with an amazing queer company here in NY and I decided to film them naked and I wasn’t given many directions. I did it and when I showed it to some of my closest friends they all said there were elements of the composition or the image itself that reminded them of classic art or Greek Theatre. A man’s body is the manifestation of the Greek concept “kalos kai agathos” (Beautiful and good) an essential concept of the ancient world. Dance film-making is in high-demand recently both for practical and purely creative reasons. In the past dancers used to have portfolios with printed photos, now reels are the norm. And in terms of creativity there is a wide spectrum, it’s a blank canvas, it’s a privileged space for film-making because it allows the camera to sneak between the bodies, follow them around, whether it’s a highly choreographed musical, or someone rehearsing. In the Youtube era also it’s not so rare for a dance video to go viral, or to serve an artistic purpose to spread a message or become a phenomenon like SIA’s music videos. For a dance film-maker there has to be an identification with the subject, they have to become one thing. “It obviously triggered in me the desire I had since I was a kid to be a dancer, but I also realized that today I wouldn’t fully go into that field. It requires too many sacrifices. I concentrate on the movement and the body and let them talk. The particularity of Italy with dance and certain arts is its sense of “elite”. Of course anyone’s ultimate dream is La Scala but a passion and a dream have also to turn into a profitable job. Angelo adds in fact “If I had to do this job in Italy it would be radically different. It’s something I’ve researched and talked about with people who dance here even from Italy or work in the field. I would be missing the hands-on, on the ground aspect of it. There is technical term in dancing ‘Marking it’ , it’s going through the steps without fully doing them, preparing, almost like a first draft when you can’t perform the same movement over and over in its complete form, it helps memorize them. When I’m flying dancers I always tell them I’ll turn the camera on when they are ready and not waste the movements. When someone tells me ‘I’m marking it’, I wait until they do it for real.